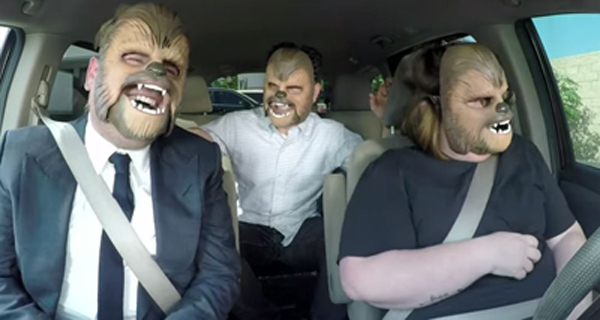 After the fight on show #171, Corey Hall returns to discuss a radically changing media landscape including the world’s greatest comedian – Chewbacca mask wearing mom, Candace Payne. That she joined late night host James Corden for a bit, really irked Corey though, as the chubby comic was the first media member to get his hands on the oh-so-hot viral video star. The guys discuss the ways the media will exploit Candace – from Ellen DeGeneres writing her a check, to a future Disney parade, hear the predictions of the wacky ways the vampires in Hollywood will use Candace’s stupid-but-admittedly-funny video for their own gains. Also, lots of changes on both local Detroit and national daytime TV, hear about all the moves and how Joel and Corey can become TV superstars. Plus, Joel predicts Morley Safer’s death, Jonah Hill has a hot sister, Midnight Special movie review, and the surprising results of F, Marry, Kill with Oprah, Ellen and Whoopi. After a well-received live show, Joel returns to the studio with Corey Hall to recap his eventful vacation to Florida and New York City. 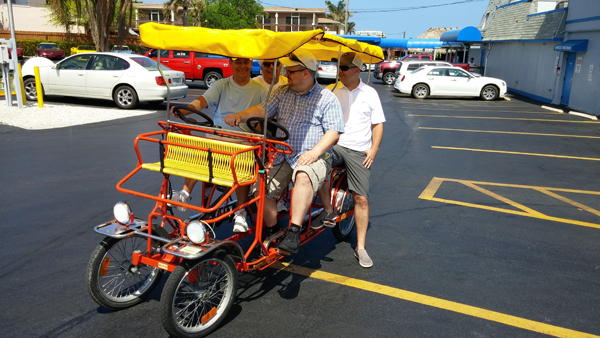 The highlights include riding wacky tourist bikes on Marco Island, and a very funny appearance by New Jersey Governor Chris Christie at Bruce Springsteen’s tour finale in Brooklyn. Joel also ate at some legendary New York establishments, although Corey is not impressed with Joel’s selection. The guys also say goodbye to Prince, and Joel put together a selection his career highlights as well as some popular songs that he wrote that were covered by others. It’s a far-reaching list of some of the best tunes of the era and you’ll also hear Prince’s Minnesota Vikings theme song that we’re not sure was ever used. Also, television controversy as Kelly Ripa feuds with Michael Strahan, Stephen Colbert gets rebooted, and Steve Harvey gets another TV show and Corey can’t take it anymore. Plus, Flea butchers the national anthem, the prophetic Prince blind item that predicted his death, and Shake Shack vs In-N-Out Burger from one person’s opinion that’s had both. Joel proves it’s impossible to look cool on a Surrey Bike….